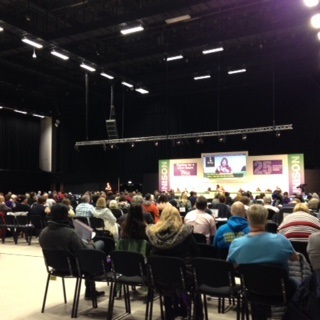 National Disabled Members Conference 2018 was held this year in Brighton, 27th – 29th October. 34 motions were debated and voted on, covering a wide range of topics. Democracy in action. Additionally, there was Caucus, Regional, Service Group and Labour Link meetings as well as a briefing for new delegates. The Conference Social event was held on Sunday evening which included music, a quiz and liquid refreshment. A raffle was held with proceeds going to ‘There for You’. For anyone interested in attending next year, (Brighton, 2nd – 4th November) the Regional Disabled members Committee holds training in October for any first time delegates, or for anyone who would like a refresher.